page 28. 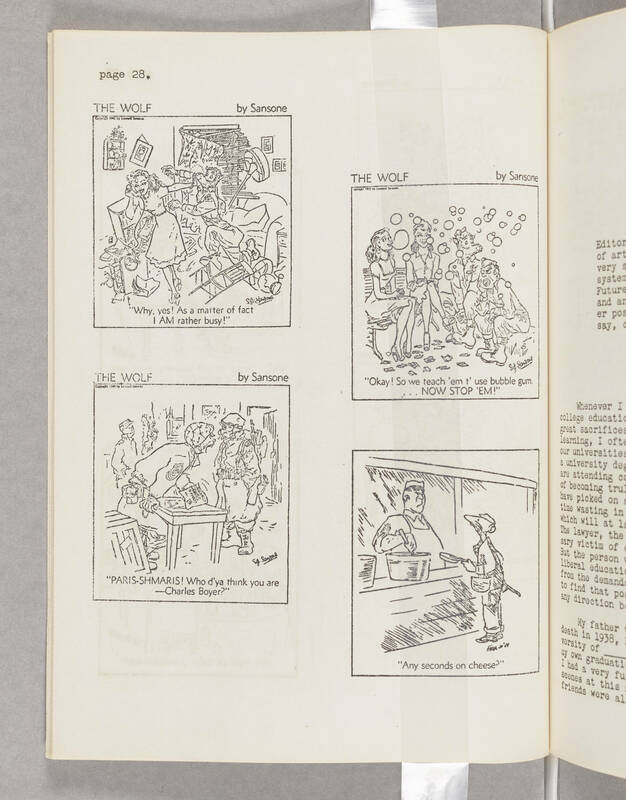 [[comic text]] THE WOLF by Sansone "Why, yes! As a matter of fact I AM rather busy!" THE WOLF by Sansone "Okay! So we teach 'em t' use bubble gum. ...NOW STOP 'EM!" THE WOLF by Sansone "PARIS-SHMARIS! Who d'ya think you are --Charles Boyer?" [[untitled comic]] "Any seconds on cheese?"